IT’S MIDNIGHT IN THE ABYSS…DO YOU KNOW WHERE YOUR DARKLINGS ARE? I’m here today with contributing author to Midnight Abyss, Jennifer M. Zeiger. I’m a HUGE fan of the adventure stories she writes on her blog so I’m beyond thrilled to have her hanging out on mine for a bit. She’s been generous enough to answer some questions about herself and the book. Who are all the authors of Midnight Abyss? In addition to me, we have Doug Langille, Gregory K Shipman, Shaun Adams, Raymond Tabaygo, Matthew X. Gomez, Theresa Briscoe Tschetter , Anisa A. Claire, and Kelleigh Perry. Except for Anisa and Kelleigh (who are the masterminds behind all of this), I think we all met on Writer’s Carnival, which is a workshop site for writers. We’ve never met face to face. It boggles my mind how, in this day and age, such collaboration can happen without actually meeting. We span geographically from Canada, East to West coasts of the U.S., to the Isle of Wight in England! Ah yes, Writer’s Carnival. I think I’ve heard of them (wink, wink:). The cover is awesome! Who designed it? Was the title a collaboration? 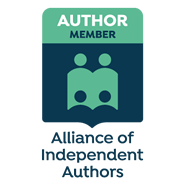 Did you learn anything about self-publishing you didn’t know before? All sorts of things. I was always under the impression that self-publishing was really expensive, and it can be. But it doesn’t have to be. The key is to make connections and to not be afraid to ask for help. Most of the time, people are more than willing to lend a hand if they can. I’ve also learned a lot about marketing. I’ve always looked at marketing as an annoying aspect of self-publishing but it doesn’t have to be that way. What really makes marketing work, in my humble, inexperienced opinion, is the human connection. Anisa and Kelleigh are really good at this. They’ll spend an hour on Twitter and have conversations with a dozen people. They build the relationship and everything else falls into place naturally. Those are probably the two biggest things I learned. How many stories does each author contribute to the book? Most of us contributed two stories. One long piece between 5,000-7,500 words and one short piece under 1,500 words. Some of the authors used poems too, so there’s a nice variety. Is this the typical genre you write? What inspires you? a. Fantasy’s my typical genre. 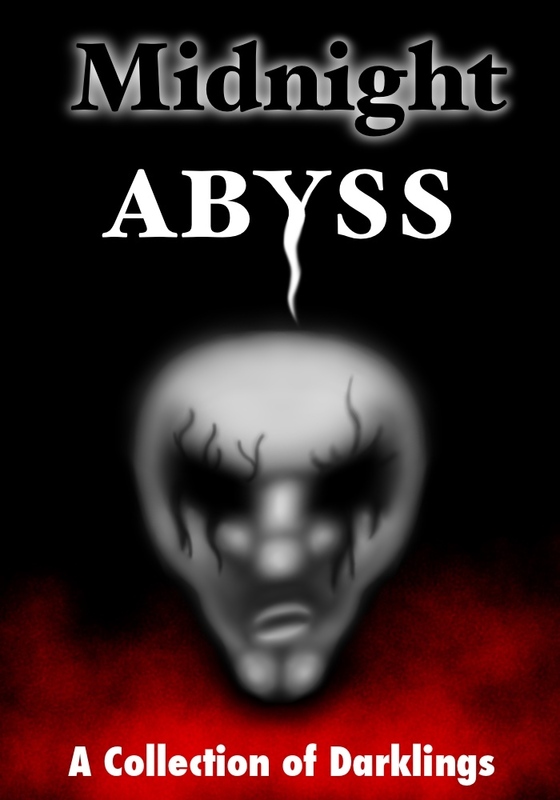 Sometimes I’ll add a darker element to my stories but Midnight Abyss was a stretch for me since it’s horror and dark fantasy. It’s great for my writing because it challenged me to dig deeper, to figure out what scares me and makes me feel emotion. b. Sneaky Beth, you put two questions in one=) What inspires me? Reading’s a big one. I’ll finish a book and want to sit down to write immediately. Usually whatever I write has a flavor from whatever I read. If I just read romance, I’ll write a more emotional scene or if I read something along the lines of action, I’ll write something with swords or thievery. Scenery. I love the mountains, the trees in the fall, the smell of pine, fresh fallen snow… but I also love to see new places. Each new place sparks ideas for me. I want to capture all that makes a place unique whether it’s apples growing on trees or types of stones found on the beach or fields growing with wheat. It all inspires me to add texture, depth, to the stories I write. And I’d say people inspire me. Things people say, the way they act, their views of the world. People are amazing and diverse. And they’re a wealth of ideas. They’re the stuff of stories. How do you feel now that it’s done and about to be published? Wow, that was a wild ride! And still is. Unlike with traditional publishing, we don’t have a marketing team working with us, so we’re still working on getting the word out. That work won’t be done for a while, but having a finished product feels amazing. Holding a hard copy book with my name on it, indescribable. I’m also working on a novel involving dryads and werecats. I’m about 50,000 words into that one and hope to have the first draft finished by the end of the year. And lastly, I’ve the first novel I wrote, Escaping Shadows, that I’ve been shopping around to agents. It’s the first in a trilogy, so I’m also working on editing Racing Shadows and Chasing Shadows. Goodreads: Midnight Abyss I believe we’re going to do some giveaways for reviews here, so that’s definitely something to look forward to. Thank You Jennifer for a great interview, and for yet another reason to be excited about Halloween!! !